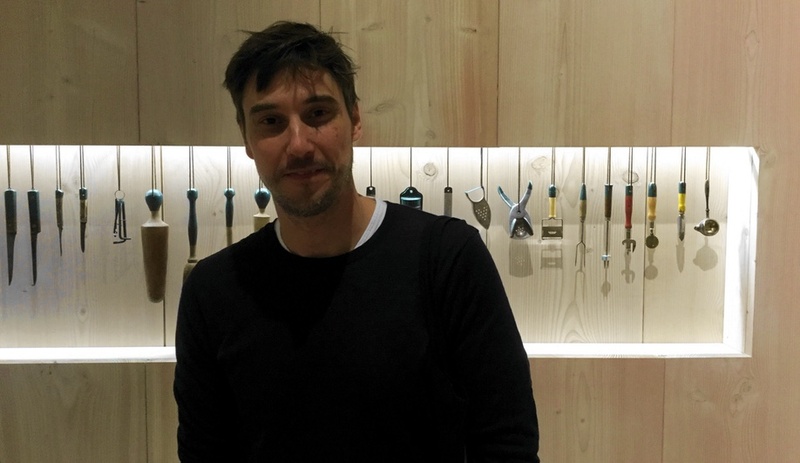 The Das Haus installation is an annual highlight of imm Cologne, the high-end residential furniture fair held in Germany. As its name suggest, Das Haus is an opportunity for a design studio to explore new possibilities for residential design. 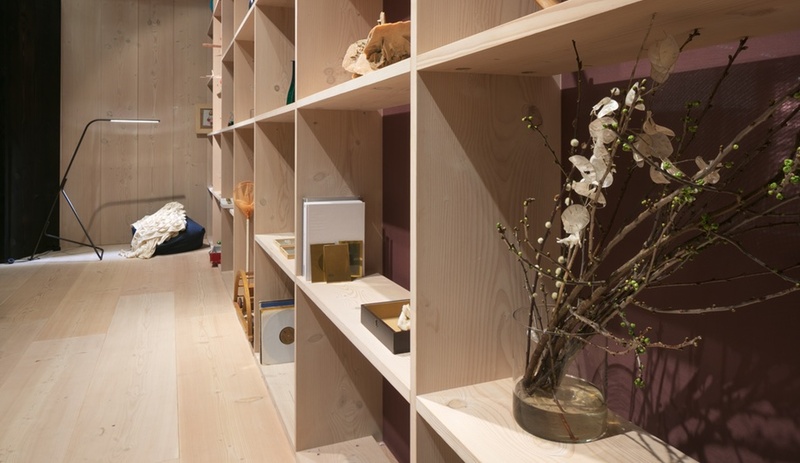 Each year, the chosen designer sets out to tap into the zeitgeist – as with Sebastian Herkner’s open and hospitable edition last year, which seemed to anticipate rising anti-immigration sentiment, or Louise Campbell’s version in 2014, which expressed the growing trend towards nesting and hygge. The 2017 edition is no exception. 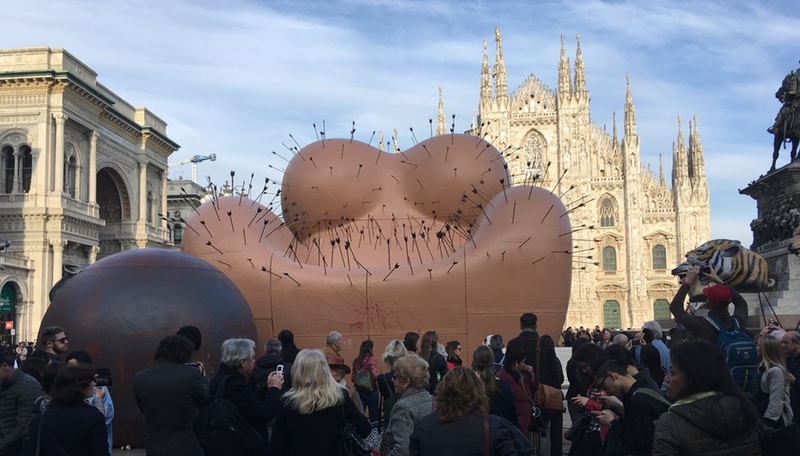 Conceived by Todd Bracher, this year’s installation, like those before it, is an attempt to respond to the question of how we want to live. Bracher, born in New York and still living there today, is the first American to take on the Das Haus assignment, and set out to convey a more American sensibility, especially given the way he lives in Brooklyn, raising two boys in a city overflowing with stimulation, but lacking in other crucial ways. 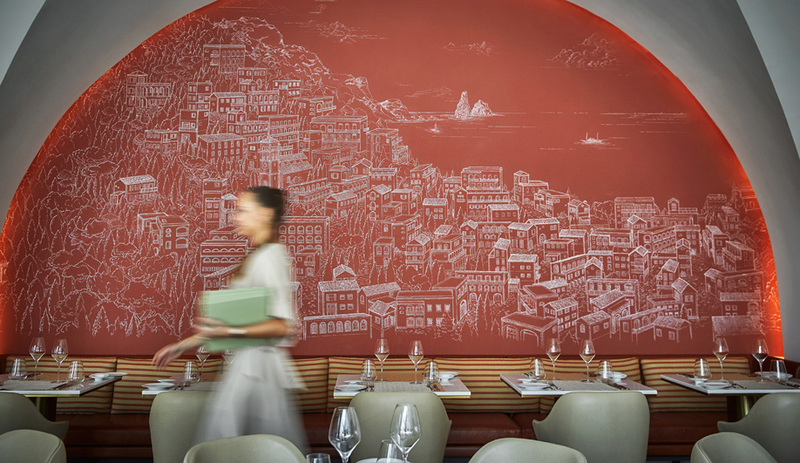 To begin with, Bracher went truly open concept. 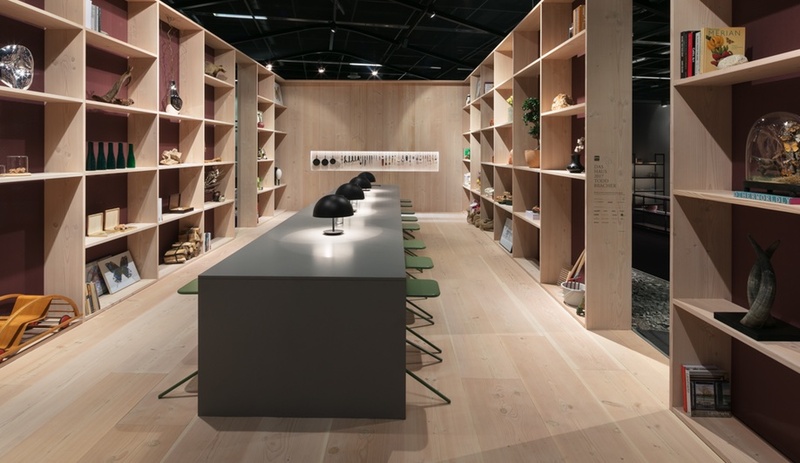 The bulk of the space is devoted to a single, all-purpose room, lined with shelves, and with a long table running its length. 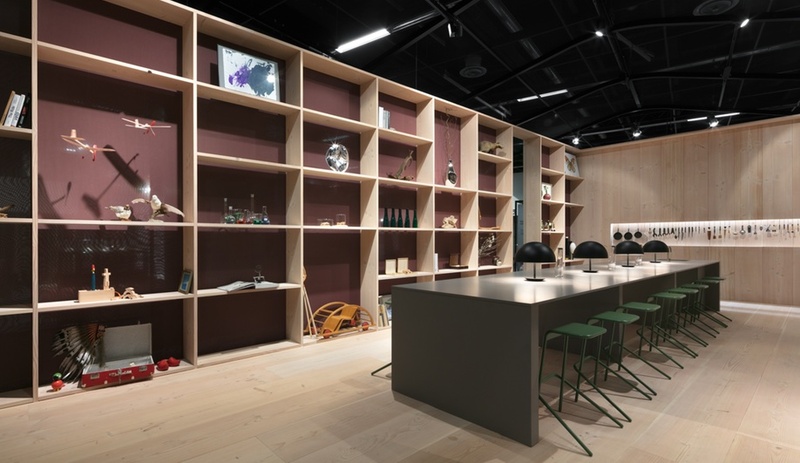 The idea, Bracher explains, is to remove the distinctions between the different activities of daily life, and instead equip a single space for virtually all of a family’s daily activities, from cooking and eating to reading, experimenting or even fixing a motorbike. 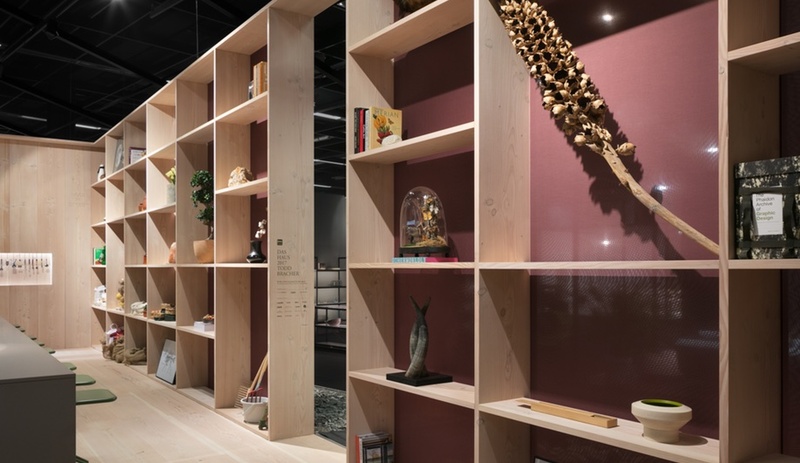 There’s a thread of the natural world running through this space, too: besides kitchen tools and gardening implements, the walls hold taxidermied animals, living plants, and raw ingredients. 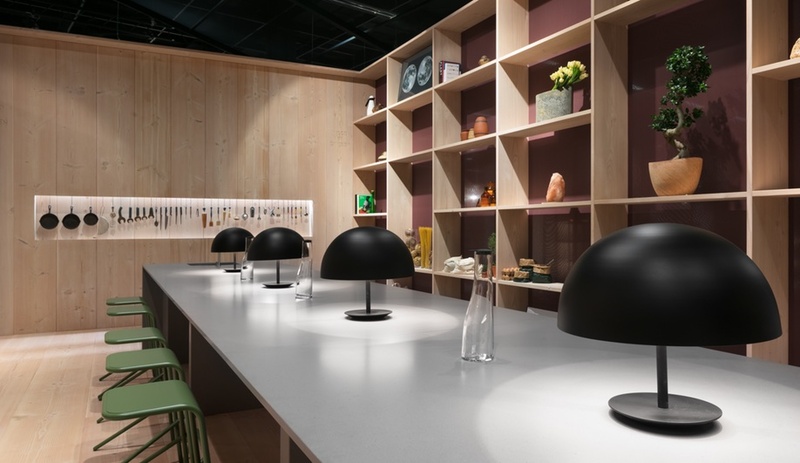 A few of Bracher’s own products are on view (including his Vas water carafe for Italesse and Dome lamp for Mater), but most of the artifacts Bracher has chosen to fill the space with speak to history, nature, and a deep curiosity about the world around us. Of course, every home needs a space to retreat to, as well. 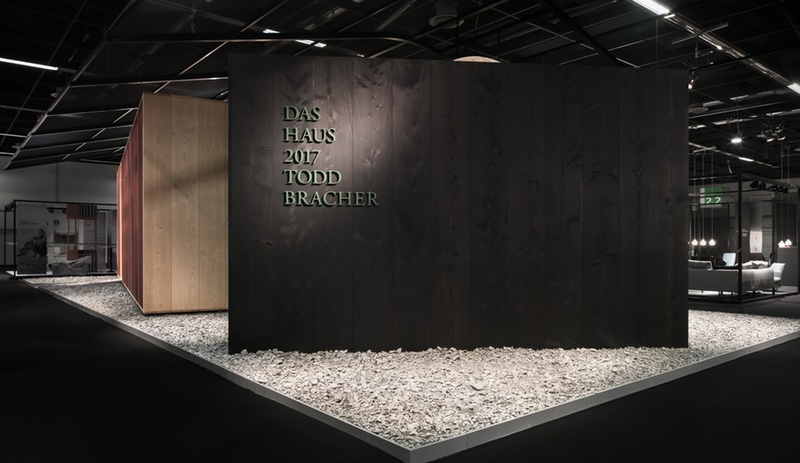 With Bracher’s Das Haus, the retreat is not a bedroom, per se, but simply a quiet, dark space for sleeping, daydreaming, meditating, or napping. Its black walls contrast with the rest of the installation to create a sense of being apart from the activity of the main space, and its only source of light is a giant paper moon which hangs overhead, casting a soft, dim light. While this retreat stands apart from the rest of the house, the moon informs the entire structure’s ceiling — a black mesh bent to form a rounded peak that runs down the length of the room, as if draped over the giant orb. 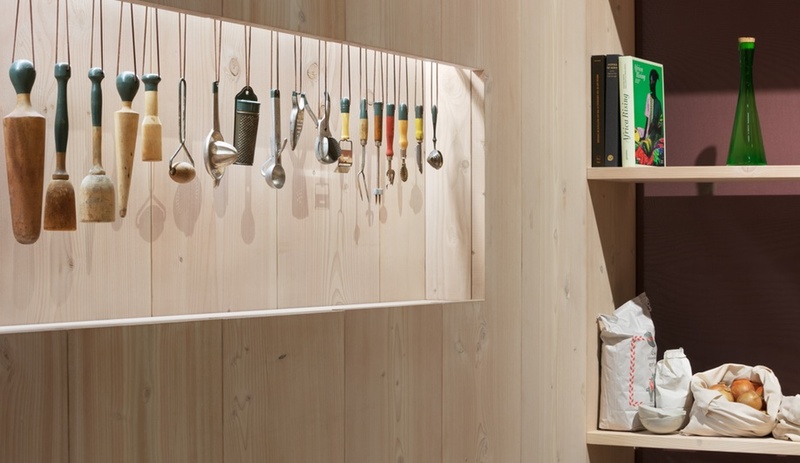 It’s the sole connection between the large and small spaces. 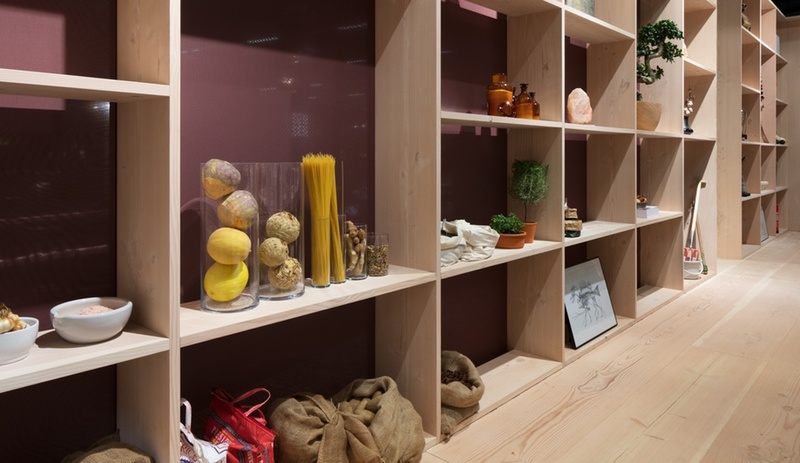 Unlike the celestial-feeling retreat, the main room expresses a much more organic feel: its shelving, though orthogonal, is “like a ribcage,” says Bracher. 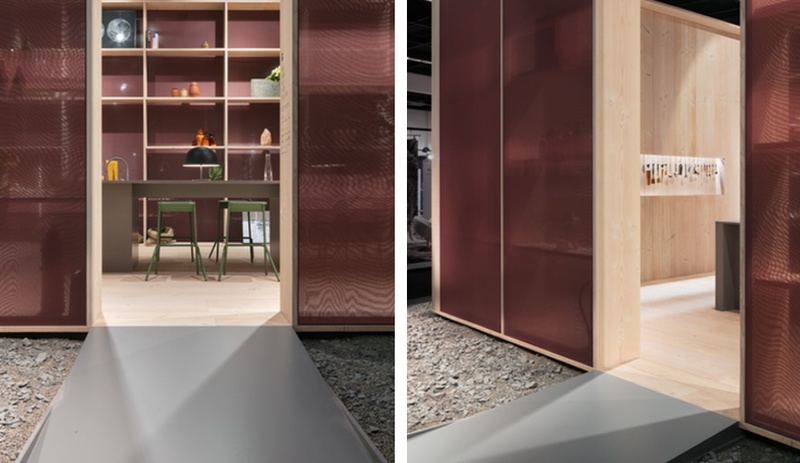 Behind the shelves, acting as a backdrop, is a thin skin of translucent fabric, which allows the house to breathe, and connect with its surroundings. 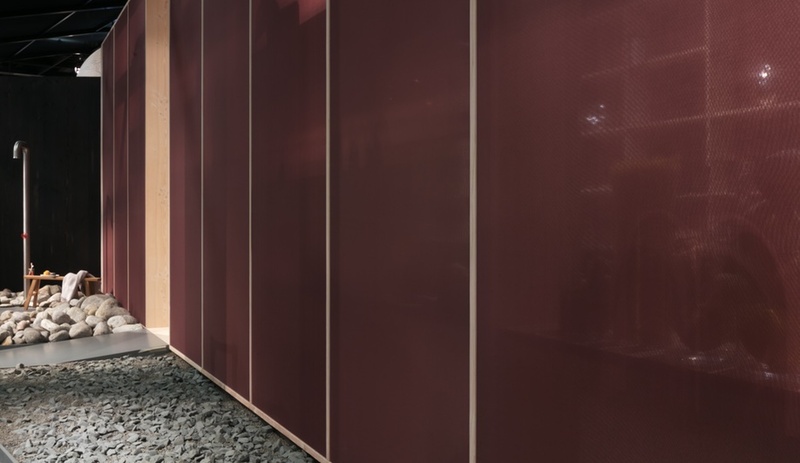 The colour of this backdrop — a brownish red that Bracher chose to emulate the tone of musculature, literally expressing the concept of a skin — is everywhere at imm Cologne this year. The exterior, too, with its wooden walls and a terrain of broken clay stones, mirrors the wood and grey hues that dominate this year’s furniture collections. And while the installation’s exterior is left plain, it does include one interesting feature: an outdoor shower. 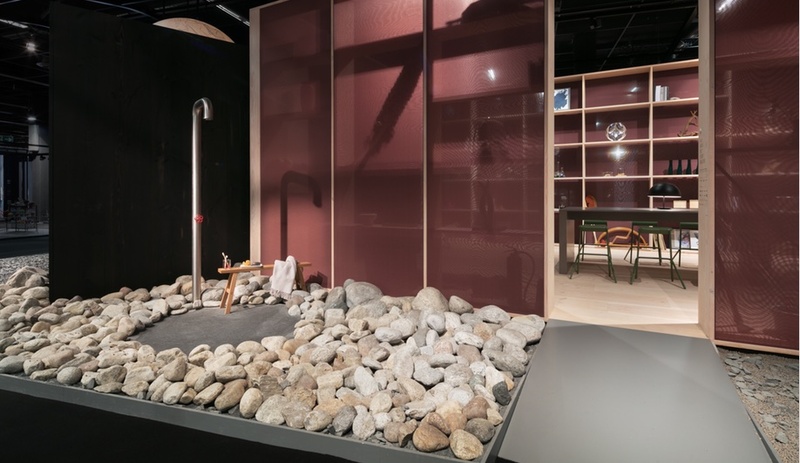 “I shower in a glass box,” Bracher complains, explaining that, in keeping with his intention of reimagining an ideal space for living, some activities could be taken outside in closer proximity to nature.